We are excited to announce that we have completed both Contestable and/or Balance of Plant works on a number of projects, across various sectors, which equated to almost 200MW of electricity connected to the National Grid. This includes 8 Battery Storage projects, a number of Gas STOR plants and two I&C connections which were privately adopted and therefore designed by g2 to IDNO standards. One of the 33kV Battery Storage projects was built in only four months, ensuring the client received two of the Triad revenue opportunities. Added to previous years, our 2018 success means that we have now connected over 170MW of Battery Storage projects, which equates to around 40% of Operational Battery Storage projects in the UK. Our experience in the Industrial and Commercial sector also continues to grow, with the number of these types of projects awarded in 2018 in double figures. We have been commissioned to complete the Contestable design and build works on these projects, with the networks being adopted either by the local DNO, or by an IDNO. Our in-house Civil and Electrical Design teams mean we’re able to work to a number of client, DNO and IDNO specifications. 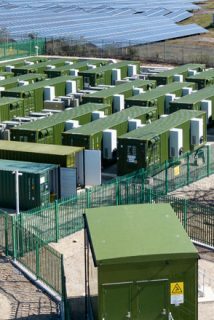 As well as the I&C projects, we will also be going into 2019 with a number of Storage, Gas Generation and Hydro connections, securing another busy year ahead.